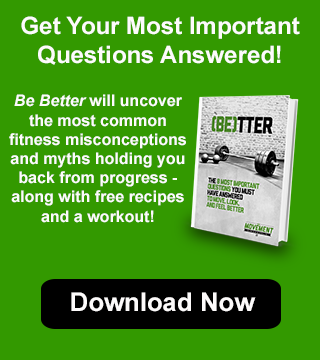 Sleep – the holy grail of recovery and feeling better. Something many of us know we don’t get as much as we should or would like to. But when we do get enough – we feel better, happier, more focused, and are able to handle stress better. And what are the dangers of not getting enough sleep? Research and studies have shown that chronic lack of sleep can cause an increase in body fat, screw up our hormones, lead to faster aging, increase our chances of chronic illnesses, and drain our IQ…pretty bleak news. Even worse, as sleep debt accumulates over time your performance declines accordingly. In one experiment, subjects who slept 6 hours per night for 10 days had similar results on a performance test to those who were completely sleep deprived for 1 full day. Sound familiar? Beyond all the other negative health ramifications, your improvements in the gym are also being sacrificed if you’re not getting enough Zzzs. To help our members not only make improvements in the gym, but also in other aspects of their health, we regularly review these 8 small changes to help them snooze. You’ve heard the expression “we’re creatures of habit” – both good and bad. One of the most helpful changes you can make to your sleep is getting on a regular schedule, both when you go to bed and when you awake. If you feel you get to bed too late: acclimate yourself slowly by setting a curfew 20 to 30 minutes earlier than your normal bedtime each night. Dim the lights at night. Install low-wattage bulbs in your bedroom, and keep things as dim as possible in the hour before your planned bedtime. This might not sound like it matters – but it does! Light triggers a cascade of hormones telling your body that it’s still time to be awake. 2. Shut down caffeine and alcohol by a certain time. If you have a regular 9-5 work schedule, shutting down caffeine by 1 to 3pm is usually a good idea. We all have different tolerances, but pushing coffee, soda, and certain teas too late into evening can disrupt your sleep even though you don’t feel an actual “buzz” from the caffeine. And while we generally associate alcohol as a relaxer, it’s a good idea to limit alcohol as it can throw off your normal biochemical rhythms and cause restless sleep. Not to mention the hangover. We’ve all been there before – in bed, staring at the ceiling fan, and thinking about all of the things on our to-do list. In this instance overconfidence in our ability to remember everything can not only fail us but also cause us to stay in work-mode. To avoid this, keep a notebook and pen near your bed to alleviate the stress of having to remember everything for the next day. You’ll see one reason I don’t recommend your phone in a second, but there’s also the temptation to check email and social media when adding to your phone’s to-do list. Melatonin is one of the most important hormones that leads to deep, restful sleep. 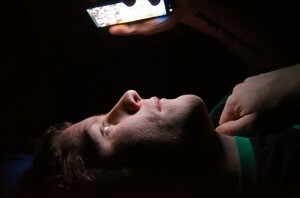 Also found as a supplement, melatonin’s release is actually suppressed when our eyes are exposed to the light – especially the blue light wavelength that are emitted from backlit screens (TVs, cell phones, computers, tablets). Avoiding backlit screens only 30 minutes before you hit the sack can lead to a dramatic increase in sleep quality — allowing you to feel more rested the next morning. 5. Keep the room as dark as possible. Cover your windows well. Blackout curtains are one of the best investments you can make. Use a motion-sensitive or dim night-lights if you need something to illuminate your midnight path to the bathroom. Put your cellphone and other electronics in another room. Those small LED lights are surprisingly bright when all the other lights are out. Lightly cover or dim your alarm clock – or look for one that has a touch-activated display. While it’s not a proven fact, the anecdotal evidence is strong among sleep experts: every hour of sleep before midnight is worth two hours after. Because of the way our natural circadian rhythms work, a lot of us thrive when our sleep schedule mimics the schedule sunrise and sundown. If your work schedule doesn’t allow for you to follow this rule, try to stay consistent with your schedule and implement my other suggestions to improve your sleep. If you’ve noticed that you get a “second wind” around 10pm you are experience the effects of a stress hormone that is released when you’re not sleeping by that time of night. As much as we have evolved, in some ways our biology has not kept up with the leaps in technology. Getting to sleep before this second wind hits will result in a remarkable improvement in your sleep. Most people sleep better in a cooler bedroom. For some, a neutral or warmer temp is better, but not often. Whether it’s winter or summer, test what’s best for you and do your best to stay consistent with your sleep time temperature to reinforce better habits. And of course, timed thermostats can help make this process simpler and more cost-effective before you hit the sack. 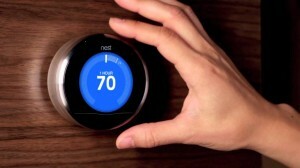 We like the nest thermostat. 8. Play some white noise. If you’re one to pop up at the slightest sound – a steady, soft source of white noise can act as a healthy distraction and really help. An oscillating fan, ceiling fan, or even the nature sounds available on an alarm clock are usually enough to distract your subconscious and in turn allow you to enjoy better sleep. All of these actions will lead to a more regular sleep schedule. 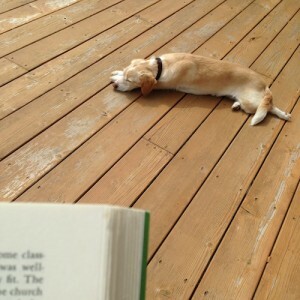 And in turn, better sleep. But working within your means and taking a habit-based approach is most important. If you’re struggling with your sleep don’t try and implement all of the changes above, start by choosing one thing that would be easy for you to tackle and you’ll be amazed at the differences you see.